Can Machine Learning Outperform Your Best Employees? Machine learning gives computer systems the power to operate without static, inflexible rules. It is a method of artificial intelligence that consists of multiple algorithms. Many of these algorithms can make computer systems act like a human. Machine learning is so widespread in today’s world that many people are using it every day without actually realizing it. Many of today’s machine learning systems have an objective to automate the things that we as humans do. Some examples include spam detection, speech recognition, and handwriting recognition. The learning algorithms that power them have seen major improvements recently. The chances are high that you have made use of these applications on several occasions. The improvements have been so vast that we are now exceeding the performance levels of humans on those tasks. These programs have the ability to keep your email inbox safe and clean. They can identify and filter out different types of spam email and even phishing schemes. Speech recognition tools have the ability to convert a voice recording into a text format. You can accurately turn audio files into transcripts, give computers verbal commands, or create texts with your voice. Computer programs use facial recognition to recognize an individual from an image. Facial recognition programs will continue to develop into more accurate tagging software. More advanced handwriting recognition tools can convert files into structured data. They have the ability to interpret the handwriting from paper documents, photos, and more. Machine learning programs use different ways of learning to develop better pattern recognition. They can also make decisions about images pixel by pixel. Well-trained programs can quickly categorize and classify millions of images. Machine learning can even train programs to juggle dozens of variables. It can be used to improve the software that predicts weather forecasts based on constantly updating raw data. Machine learning makes it easier than ever to create software systems that are sophisticated. Many times, they don’t even need a significant amount of effort on the human side. Machine learning makes it easier because it will not require years of crafting a system that has many parameters. New programs will also only need training data to grasp new features. Applications like speech recognition tools have taken over many of our lives. Speech recognition is everywhere, including our phones, our watches, and our televisions. With a single device, you can order dinner, get an update on the weather, or buy a new box of ink pens with your voice. We know that applications like speech recognition have been around for quite some time. But why is it only becoming more popular and widespread now? One of the reasons is because deep learning has made these applications more accurate enough. Now they can be used during daily life or for commercial purposes. As speech recognition’s accuracy increases, it will become one of the most used ways to interact with devices. Even a small gap in accuracy can be the difference between a program’s success and failure. However, thanks to deep learning, we are actually climbing that hill. Deep learning is one of the newest areas of machine learning. Deep learning was introduced with the goal of pushing machine learning closer to AI. Programs embued with AI will make faster and more accurate sense of photos, voice data, and text. Deep learning has been connected to current fields of research such as unsupervised learning and neural networks. Deep learning is also inspired by our understanding of how our brain works. It has become one of the most progressive approaches and one of the most hopeful areas in machine learning. Now that machine learning is here, it is here to stay. What steps are you taking to keep up with the advances in machine learning applications? Contact us at MLC Labs to start bringing more of the benefits of machine learning to your company. Author Big AlPosted on November 15, 2018 November 27, 2018 Categories Business, Machine learningTags benefits of machine learning, Machine learning, machine learning applications, MLC Labs, recognition programsLeave a comment on Can Machine Learning Outperform Your Best Employees? Machine learning (ML) is the field of computer science that deals with the ability of computer systems to “learn.” In other words, the computer system is able to utilize input data to make decisions. Programs with machine learning independently generate output data without concrete programming. The output data is not static. It constantly updates as new data becomes available and is assimilated by the computer system. Since its inception in the early nineties by Arthur Samuel, the field of machine learning has steadily advanced. Scientists and researchers are constantly developing and refining algorithms that enhance independent data analysis and pattern recognition. Here are four types of machine learning algorithms that have evolved over the years. The internal nodes represent the input variables. The edges are equivalent to branches on a tree. The decisions are the output variables that are equivalent to leaves on a tree. With this form of machine learning, the ultimate output is dependent on which decision path is followed based on the input variables. This type of machine learning algorithm detects associations. It establishes relationships between variables in a relational database. Programs with this learning structure can predict the occurrence of a specific data point based on the occurrence of another piece of data in a database. This type of machine learning is typically used by retailers during product placement. Products that have strong associations can be organized share premium shelf space. Retailers can then expect the purchase of one product to lead to the purchase of the other product. This strong association boosts both sales and customer satisfaction. No matter what business you’re in, machine learning is a powerful tool for organizing and using raw data. A Bayesian network is a graphical model that uses probability distributions. It is made up of nodes which represent the individual variables and links which join the various nodes. The links between nodes illustrate dependence between the variables. But nodes with no links are completely independent. This machine learning algorithm is best suited for the detection of anomalies, diagnostics, and errors. It can also highlight data points in situations with unknown variables or parameters. Deep learning is the most progressive approach to machine learning. These machines have an artificial neural network that is modeled after the human brain. It can assimilate and process data similar to how a human being would organize new information. Deep learning software is designed to mimic the activity of neurons in the brain. It can recognize sounds, visual cues, and other stimuli in digital form. With deep learning, a computer system can absorb and process vast amounts of data. Then it can use this data to learn and acquire new skills or generate deeper analysis, just like humans. Deep learning is sometimes referred to as the foundation for artificial intelligence, or AI. Deep learning at the forefront of machine learning. That’s why hundreds of companies have developed their own deep learning software to enhance their business offerings. For example, Facebook uses deep learning applications for facial recognition, language translation, and to customize the newsfeed. Google uses its deep mind AI to enhance its business and for research. 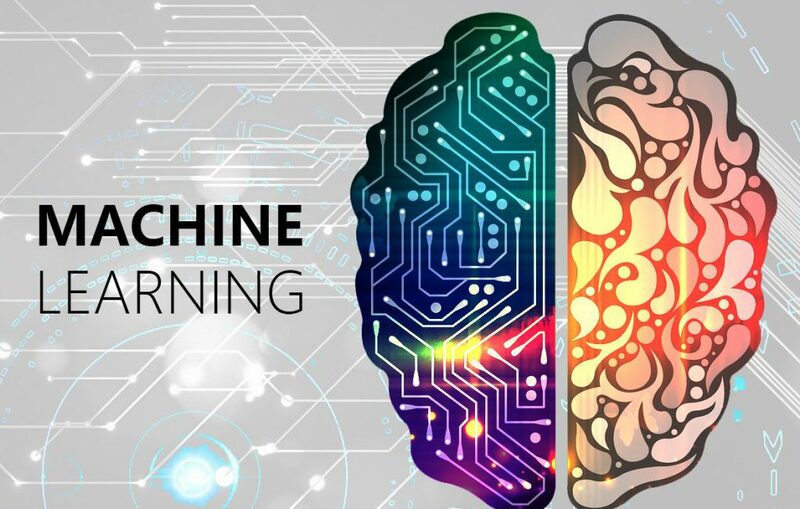 At MLC, we offer machine learning solutions that meet your business needs. Our software inputs your data and generates relevant output data after statistical analysis. Contact us today for more information about our services. Deep learning is quickly becoming an integral part of today’s technological landscape. But what is deep learning? Basically, it’s a set of software algorithms that are able to identify patterns in an incoming data stream. Deep learning tools can then make decisions based on those structures. In general, implementations of deep learning are built using Artificial Neural Networks, or ANNs. This approach is modeled on the structure of the human brain. But deep learning is not a single thing. A number of different types of ANNs are in common use, each of which is particularly suited to certain classes of applications. In this article, we’ll give a brief overview of four of the most important types of ANNs used in deep learning. The MLP can be thought of as the most basic ANN configuration. It normally consists of a feedforward network of software neurons. The neurons are arranged into at least three separate layers: an input layer, an output layer, and one or more hidden layers in between. The classic perceptron was initially developed in the 1950s and 1960s. It is a software neuron that has a binary activation function; its output will be either 0 or 1. Despite the name, modern MLPs rarely employ perceptrons. Instead, they most often make use of sigmoid neurons, the output of which varies continuously between 0 and 1. But for historical reasons, neural networks built on the basic multi-layer model are often called MLPs, no matter which type of neuron is actually employed. Straight “vanilla” MLPs are seldom used in practical applications today. Instead, refinements and extensions of the MLP concept, such as those detailed below, are employed. RNNs extend the MLP concept by adding a feedback component. This gives the network a memory of its previous states. This enables it to be aware of sequence and context, an ability that makes RNNs ideal for text and speech processing. For example, a voice-to-text encoder, such as those employed in digital assistants like Siri and Alexa, decodes the sequence ‘HEL’ in its incoming audio stream. With that information, it can predict that the next characters are much more likely to be ‘LO’ than ‘XB.’ This improves accuracy. Convolution has been called the most important concept in deep learning today. A convolution process mixes two sets of data according to a specific rule to achieve the desired effect. In practice, neural networks built on the convolution principle mix one set of information, called a kernel, with an incoming data stream. Through this process, the neural networks abstract, or highlight, significant features or patterns in the input data. This makes CNNs ideal for image and video processing. A CNN processes an image by moving a convolution kernel stepwise across the face of the image. At each step, the CNN performs a matrix multiplication between the kernel and the block of image data directly beneath it. Then the CNN moves the kernel one or more pixels away from the previous position. The process repeated until the entire image has been covered. The result is a feature map. The CNN can now use the feature map to identify objects in the image. Read more about convolutional neural networks and their operations. GANs are composed of two different neural nets, the generator and the discriminator, that seemingly work against one another. The generator creates fake data sets to fool the discriminator. The discriminator has to identify whether the data it is receiving is from a genuine source, such as a real visual scene, or is the fake produced by the generator. During the training of the GAN, the discriminator gets progressively better at identifying the characteristics of genuine data. At the same time, the generator is also improving in its ability to produce fake data. The result is two-fold. The GAN becomes very good at both identifying what is genuine and creating things that aren’t. For example, if a GAN is given a photograph taken on a summer day, it can alter the image. It can even produce an image of how the original scene would look in winter with snow on the ground. Research in the field of deep learning is continuing at an ever-accelerating pace. The four types of deep learning neural networks listed above are actually just the beginning. If you are interested in the growing impact of the deep learning revolution, stay tuned! There’s a lot more to come. Contact us at MLC Labs to see how deep learning applications can help your business operations. How Is RPA Different From Traditional Automation? There are various problems faced by those who are using a traditional workforce model. Start resolving these problems by utilizing a smart workforce model that incorporates bots along with help from humans. Bots have the ability to handle a majority of the knowledge-based processes in your business. When bots take care of the knowledge-based processes, this will allow the human agents to use their time to tackle the invaluable work. Robotic process automation, or RPA, continues to become more sophisticated. The implementation processes also become less complex. 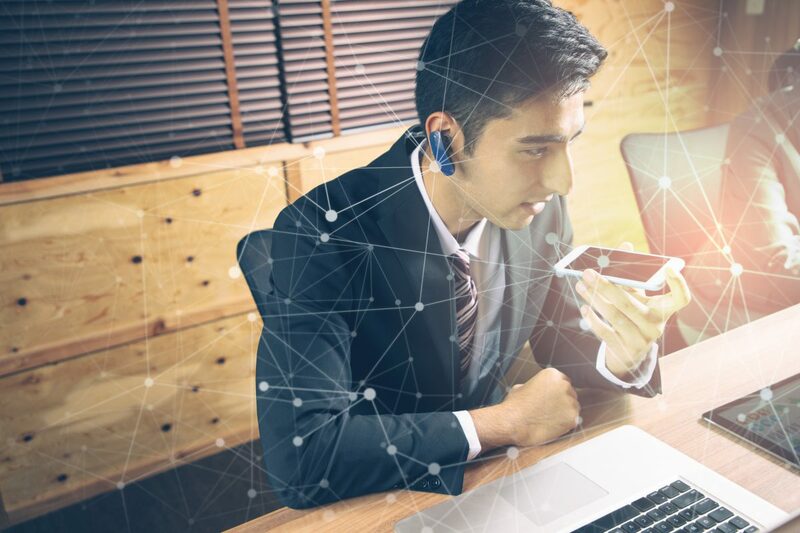 As it progresses, users will continue to see an increase in the adoption of a smarter and wiser digital workforce that can manage knowledge-based and transactional processes. RPA involves the use of software with ML (machine learning) and AI (artificial intelligence) abilities. This lets it handle the repetitive and high-volume tasks that previously only humans could carry out. Robotics or Traditional Automation: Which One Do You Need? Does your business have any tasks that are currently blocking productivity? How many of your business tasks are completed by humans and are often tedious or boring? Are the majority of the tasks physical tasks or simulated tasks? If you can think of at least one task that you know is causing a blockage, that task could be the perfect candidate for automation. However, if the tasks are physical, robotics could be the solution. Traditional automation and RPA both aim to bring all software systems together to eventually automate the processes in a business. But there are areas of RPA that makes it different from traditional automation. When using traditional automation, anyone could make a ‘machine’ do any type of task during any step of the operational process. However, RPA is able to carry out a variety of tasks without needing to move to the back-end of your system at any time. gives businesses the ability to act quickly as they imitate the role of human agents. can work across application types due to it being system agnostic. can be implemented quickly, unlike the traditional automation systems. can easily be integrated with the systems you already have due to its scalability. When it comes to making a decision on whether a traditional automation system or RPA is right for your business, consider RPA as a predecessor to a fully-developed automation system. These systems are able to repeat any human activity and help your business automate even the most monotonous daily work activities. Ultimately, this will free up a significant amount of time and energy for everyone to work on the most high-valued tasks. Why Does Your Business Need Robotic Process Automation? We know that you want to boost your business’s operations and that you want to improve your processes. However, your business can be held back by the back-end tasks: they take up a huge portion of your business’s operational efficiency. Once you make the decision to have these tasks fully or partly automated, you will see a significant boost in your overall productivity. 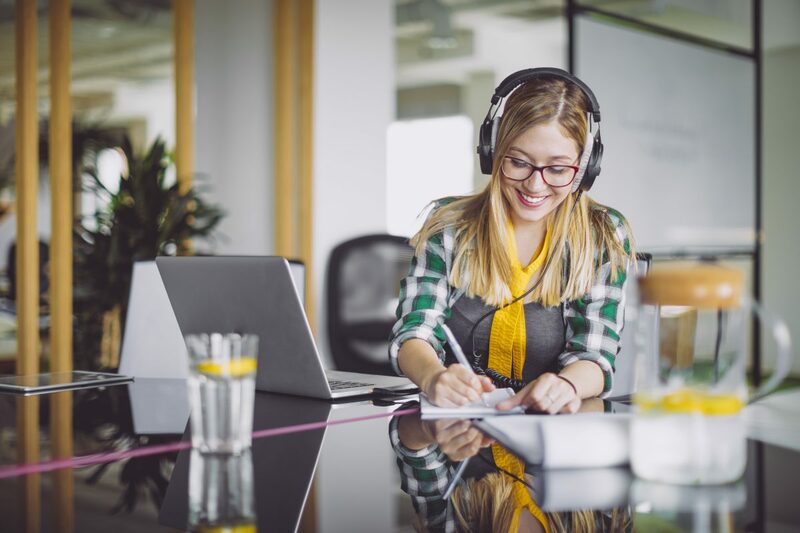 When you make the decision to automate or streamline your business processes, you will also see improvements in customer service and customer satisfaction. Also, when you can successfully apply RPA into your business strategy, you will finally be able to reach the levels of productivity and efficiency you have been searching for. If you are a business that has been looking to automate some or all of its processes, this is the perfect time to take action. Contact us at MLC Labs to get started optimizing your business with RPA. Author Big AlPosted on October 1, 2018 September 28, 2018 Categories Robot process automationTags automation benefits, Machine learning, MLC Inc, MLC Labs, robotic process automation, RPA, RPA benefitsLeave a comment on How Is RPA Different From Traditional Automation? Automation technologies are reshaping the world. Even better, they’re creating better, smarter artificial intelligence programs along the way. Machine learning, big data, and predictive analysis have all changed the way we think about things. They give us the ability to explore all the trends and possibilities that we would only think about in our dreams. Machine learning, or ML, has become of the most varied and fresh application technologies. Everybody who is part of the technology world is having conversations about machine learning. But it can be tricky to understand what machine learning really is. Since 1959, machine learning has transformed from a muddled idea into a favored technology. It is now being used by large tech businesses and startup companies across the world. The market for machine learning continues to expand at an astounding rate. By 2020, experts predict that spending on artificial intelligence and machine learning will exceed $46 billion. Machine learning is not just a new technological fad or a new way to program small details. Machine learning builds promising tools that change the way businesses of all sizes handle their business operations. Some of the more well-known uses of machine learning are self-driving cars and the well-known Siri voice. Expect machine learning to be one of the most disruptive technologies over the next decade. The main benefits include its ability to comb through never-ending sets of data and independently reach conclusions. Machine learning will leave its mark in not only the digital business experience but the human life experience. Any company who wants to succeed in the digital world should begin to explore machine learning. How can machine learning improve your business? Machine learning can extract relevant insights from raw data to solve the most complex problems quicker. Machine learning algorithms start by learning the patterns of your company organizes data. Over time, these programs can make smarter and smarter decisions that match your unique business. They can find the hidden insights in the growing sets of data companies have access to. Finding the details of how your customers behave and what they’re really looking for will set your company apart in highly competitive markets. With the right algorithms, machine learning brings scalability and flexibility. Your business can change to meet demand without manual delays. Machine learning has a great range of applications that will be sure to have a long-lasting impact on your business operations. These include the ability to personalize healthcare and the ability to optimize a supply chain. The number of ways companies can benefit from machine learning continues to grow. 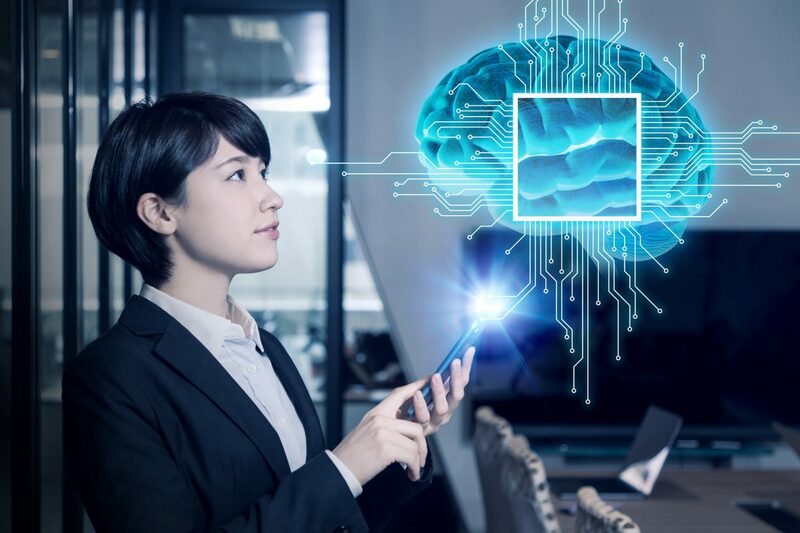 Machine learning technology is now available to small and medium-sized businesses with suites of ML solutions that fit your budget. Reduce manual data entry and get cleaner data. Protect against spam and phishing schemes. Recommend products to customers based on their previous purchase history. Improve your business’s cybersecurity programs. It has been almost sixty years since artificial intelligence was introduced to the world and we have certainly come a long way. One of the main reasons for that success is machine learning. No one knows what the future holds as far as machine learning. But the impact machine learning has on improving day-to-day operations is clear even now. Give your business the advantage it has been looking for. Contact us at MLC Labs to get the machine learning tools built for your business. Routine tasks like moving and copying data are error-prone when people do them. People find the tasks boring, and their attention wanders. But computers can carry out those tasks without making mistakes, and they can keep doing it all day and night. Robotic process automation, or RPA, makes it possible. Despite the name, RPA doesn’t have anything to do with physical robots. A “robot” is software that enters information into GUI applications, following business rules. For instance, it could pick up data from online forms, make some changes in format, and enter the information into a database. It does error checking so that forms with missing or invalid data get discarded or flagged for further checking. This helps prevent bad data from getting into the database. There are many ways to automate software processes. One of the most popular is to create scripts that use the APIs of applications. This can produce great results, but it assumes that the applications have published APIs. Many programs don’t, while others have only limited capabilities. Creating and maintaining the scripts requires coding them in a scripting language. It’s a complicated task requiring someone with coding skills. RPA, on the other hand, works with almost any application that has a Graphical User Interface (GUI). Rather than writing a script, the developer puts together building blocks for performing actions, such as “paste to this data field.” Some development environments can even learn by example as the developer performs the action which the bot has to do. With some training, non-coders can learn to program robots. The specification of the robot includes error checks so that it won’t blindly enter nonsensical data. In some cases, the robot can take advantage of machine learning. This means it will recognize when the data it has been given is clearly outside the normal range of values. So far, machine learning isn’t a common feature, but it’s likely to grow rapidly in the near future. Another advantage is that RPA doesn’t require replacing existing software, so it doesn’t create major business risks. It won’t seriously disrupt other operations, and it’s easy enough to go back to manual operations if it doesn’t work out. Robots can keep up with periods of heavy workloads. If a large batch of work comes in, it won’t leave them with a backlog for long. They can keep working without pause until they’ve processed everything. RPA software can log all its actions and make the logs available to analytic software. This is valuable, especially in the early stages of adoption. Managers can see how many operations are being completed each day and how many of them report errors or require intervention. The results will help in deciding what further tasks would benefit from automation. Logs are also helpful in diagnosing errors. RPA performs operations faster and more accurately than people do. The result is faster turnaround and fewer cases of having to fix bad data. Getting it right, though, requires that management and IT plan well. They have to both choose the right tasks to automate and make sure the programming carries out the tasks accurately. The first implementations of RPA need to be ones that promise a clear benefit. Robots also need frequent updates. An application’s GUI sometimes changes radically from one release to another. The robot needs to be reprogrammed so it will keep working. Also, employees may fear losing their jobs. Reassure them before you roll out new processes. To avoid a backlash, management should find ways for employees to take on new responsibilities. This can include tasks which are more interesting and productive than the repetitive ones which RPA excels at. Tasks using “dirty” data aren’t good candidates for automation, and human judgment will continue to be necessary. There will still be jobs for people. RPA is still in its early stages of growth. Companies adopting it today have the opportunity to jump ahead of the competition in the efficiency of their data operations. They’ll have the advantage of extra experience as RPA becomes more popular. For more information, contact us at MLC Labs here. Author Big AlPosted on September 2, 2018 Categories Robot process automationTags advantages of RPA, MLC Inc, MLC Labs, robot process automation, RPA, RPA benefitsLeave a comment on What is Robotic Process Automation (RPA)? Convolutional neural network has proven to be effective in classification and object recognition. This type of network are part of neural networks. ConvNet are successful in identifying objects and traffic signs. Significant improvement has been achieved in face recognition. ConvNets are one of the most used tools in image recognition and object classification. A thorough understanding of convolutional neural network is required to provide ability for optimization and build future improved neural networks. Convolution – This operation is based on mathematical convolutional operand. The main purpose in the convent architecture is to extract features from the input. The convolutional operation learn features of the input image by sliding a kernels (feature detector) which produce a new matrix called Feature Map where the spatial relationship between pixels is preserved. By choosing different filter the convolutional process discovers different features for example Edge detection, sharpen, blur etc. Non linearity – After every convolutional operation a non-linearity is introduced. The original architecture has used Sigmoid or Tanh function. Lately the operation used for non-linearity is ReLU – Rectified Linear Unit which helps to replace all negative pixels in the feature map by zero. Sub sampling (pooling) – The purpose of subsampling is to reduce the dimensionality of the feature maps and in the same time to preserve most of the important information. There are many types of pooling such as Max, Average etc. Max pooling has been used in the original architecture and it has shown good results. Fully connected layer (classifier) – This is a multi-layer perceptron with a softmax activation function as per original architecture. The output from the convolution and pooling layers of the neural network provides many high-level features of the input image. By passing them to the fully connected layers these features their combinations are classified into various classes according to the training data. These four operations are the building blocks of any convolution neural network. The usual ConvNet architecture contains two Convolution, pooling and fully connected layers. The first Conv layer uses 3 filters and the second 6 filters which provides 6 feature maps extraction to be passed to the fully connected layers. The basic convolution neural network has shown tremendous success in classifying characters and objects from an input image. By optimizing feature extraction and combining some of the technics specific only for specific cases could provide many benefits and better the outcome from the neural network. Welcome to MLC Inc blog. We are aiming to help our customers to automate and utilize their IT and data infrastructure. We provide Robot process automation and machine learning solutions.